By Yiming Ma, Bee-Chung Chen & Deepak Agarwal, LinkedIn Corp.
Recommender systems are automated computer programs that match items to users in different contexts. Such systems are ubiquitous and have become an integral part of our daily lives. Examples include recommending products to users on a site like Amazon, recommending content to users visiting a website like Yahoo!, recommending movies to users on a site like Netflix, recommending jobs to users on LinkedIn, and so on. Given the significant heterogeneity in user preferences, providing personalized recommendations is key to the success of such systems. To achieve this goal at scale, using machine learning models to estimate user preference from feedback data is essential. Such models are constructed using large amounts of high-frequency data obtained from past user interactions with items. They are statistical in nature and involve challenges in areas like sequential decision processes, modeling interactions with very high-dimensional categorical data, and developing scalable statistical methods. New methodologies in this area require close collaboration among computer scientists, machine learners, statisticians, optimization experts, system experts, and, of course, domain experts. It is one of the most exciting applications of big data. Many products at LinkedIn are empowered by recommender systems. A core component of these systems is an easy-to-use and flexible machine learning library, called Photon-ML, which is key to our productivity, agility, and developer happiness. We have open-sourced most of the algorithms used by Photon-ML. In this article we focus on the personalization aspect of model building and explain the modeling principle as well as how to implement Photon-ML so that it can scale to hundreds of millions of users. At LinkedIn, we have observed significant lifts in user engagement and other business metrics in many product domains through Photon-ML. To provide a concrete example, note how we make personalized job recommendations using a Generalized Additive Mixed-Effect (GAME) model, which generated 20% to 40% more job applications for job seekers in our online A/B experiments. As the world's largest professional social network, LinkedIn provides a unique value proposition for its over 500 million members to connect with all kinds of opportunities for their career growth. One of the most important products we offer is the Jobs Homepage, which serves as a central place for members with job-seeking intent to find good jobs to apply for. 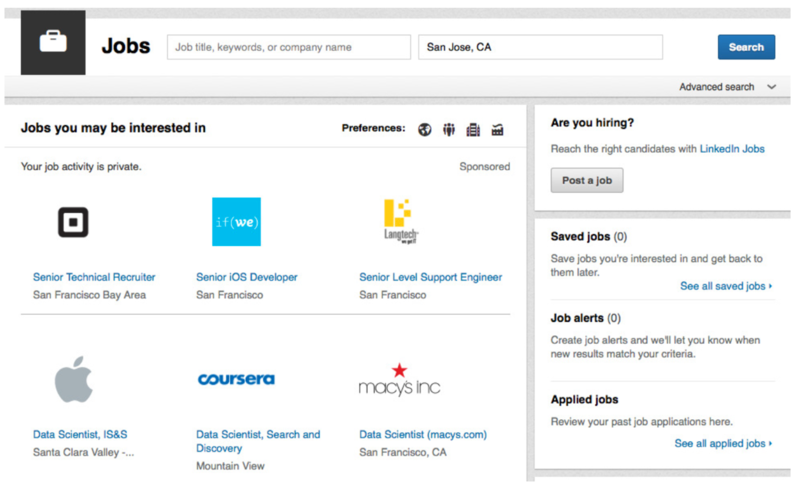 Figure 1 is a snapshot of the LinkedIn Jobs Homepage. One of the main modules on the page is “Jobs you may be interested in,” where relevant job thumbnails are recommended to members based on their public profile data and past activities on the site. If a member is interested in a recommended job, she can click on it to go to the job detail page, where the original job post is shown with information such as the job title, description, responsibilities, required skills and qualifications. The job detail page also has an “apply” button which allows the member to apply for the job with one click, either on LinkedIn or on the website of the company posting the job. One of the key success metrics of LinkedIn’s jobs business is the total number of job application clicks (i.e. the number of clicks on the “apply” button). A job-specific model with parameters (to be learned from data) specific to the given job to capture the job's unique behavior that deviates from the general behavior. Like many recommender system applications, we observe a lot of heterogeneity in the amount of data per member or job. There are new members to the site (hence almost no data) as well as members who have strong job search intent and applied for many jobs in the past. Similarly, for jobs, there are both popular and unpopular ones. For a member with many responses to different jobs in the past, we want to rely on the member-specific model. On the other hand, if the member does not have much past response data, we would like the member to fall back to the global model that captures the general behavior. is the link function, b is the global coefficient vector (also called fixed effect coefficients in the statistical literature), and αm and βj are the coefficient vectors specific to member m and job j, respectively. αm and βj are called random effect coefficients, which capture member m's personal preference on different item features and job j's attraction for different member features. For a member m with many responses to different items in the past, we are able to accurately estimate her personal coefficient vector αm and provide personalized predictions. On the other hand, if member m does not have much past response data, the posterior mean of αm will be close to zero, and the model for member m will fall back to the global fixed effect component x'mjtb. The same behavior applies to the per-job coefficient vector βj. To train a model using a large amount of data on a Hadoop cluster, we developed Photon-ML on top of Apache Spark. One main challenge in designing a scalable algorithm is that the number of model parameters to be learned from the data is huge (e.g. tens of billions). If we naively train the model using standard machine learning methods (e.g. MLlib provided by Spark), the network communication cost for updating the large number of parameters is too high to be computationally feasible. The large number of parameters mainly comes from user-specific and job-specific models. As a result, the key to making the algorithm scalable is to avoid communicating or broadcasting the large number of parameters in the user-specific and job-specific models to the cluster. We solve the large-scale model training problem by applying parallel block-wise coordinate descent (PBCD), which iteratively trains the global model, user-specific models and job-specific models in turns until convergence. The global model is trained using a standard distributed gradient descent method. For the user-specific models and job-specific models, we designed a model parameter update scheme such that the parameters in the user-specific and job-specific models do not need to be communicated across machines in the cluster. Instead, a partial score per training example is communicated across machines. This significantly reduced the communicate cost. PBCD can be easily applied to models with different kinds of sub-models. In this article, we have briefly explained how to use Photon-ML to enable personalized recommendations. Many intriguing optimization and implementation details have been skipped due to the length limitation of this article. We highly recommend our readers to check out the open-sourced Photon-ML repo. At LinkedIn, we are committed to building state-of-the-art recommendation systems. We have made exciting plans for Photon-ML. In the near future, we are planning to add more modeling capabilities to Photon-ML, including tree models and different deep learning algorithms to capture non-linear and deeper representation structures.